Location: Saint-Waast, in the Nord departement of France (Nord-Pas-de-Calais Region). Ownership / Access: Privately owned. 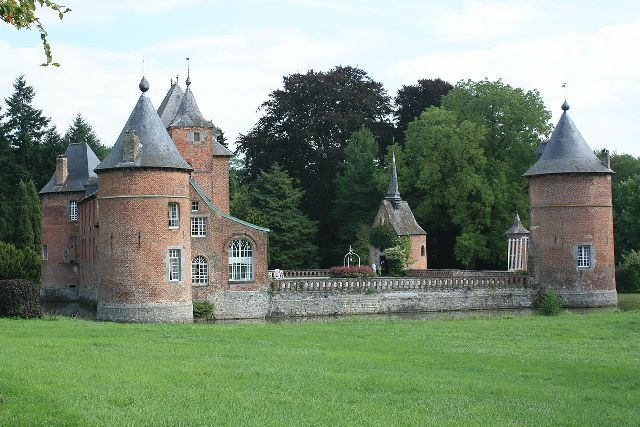 Notes: Château de Rametz is a castle located in the commune of Saint-Waast in the Nord department. The facades and roofs of the castle with four towers, the courtyard, the moat with their bridge including the entrance gate are the subject of a classification as historical monuments since March 2, 1979. The Guard Room and the dining room near the northeast tower, with their decor; the fireplace in the large living room and small dining room are for their registrants.